The George Town UNESCO World Heritage Site features Malaysia’s best restored and re-adaptive traditional architecture as well as a multitude of heritage trades and arts. The world-renowned ‘Street of Harmony’ reflects the influence of the diverse communities that have made Penang their home. 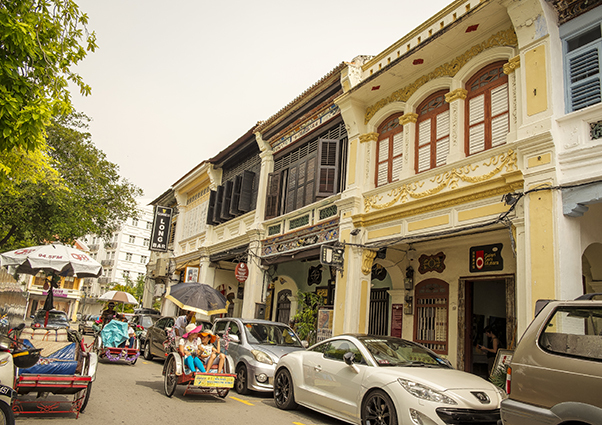 At only 2.5sq km, the George Town World Heritage Site is compact enough to be explored on foot, bicycle or trishaw. According to UNESCO, the city represents an exceptional example of a multicultural trading town in Southeast Asia, forged from the mercantile and civilisation exchanges of Malay, Chinese, Indian and European influences. The Historic City of George Town covers an area of 109.38ha bounded by the Straits of Malacca on the north-eastern cape of Penang Island, Lorong Love (Love Lane) to the north-west and Gat Lebuh Melayu, Lorong Carnarvon and Lebuh Carnarvon to the south-west corner. 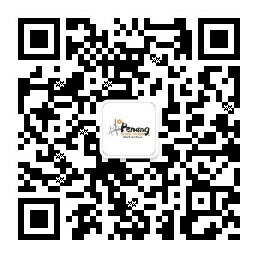 There are more than 1,700 historic buildings within this Core Zone aligned on four main streets of Pengkalan Weld, Lebuh Pantai, Jalan Masjid Kapitan Keling and Lorong Love, as well as several perpendicular streets of Jalan Tun Syed Sheh Barakbah, Lebuh Light, Lebuh Bishop, Lebuh Gereja, Lebuh China, Lebuh Pasar, Lebuh Chulia, Lebuh Armenian and Lebuh Acheh. 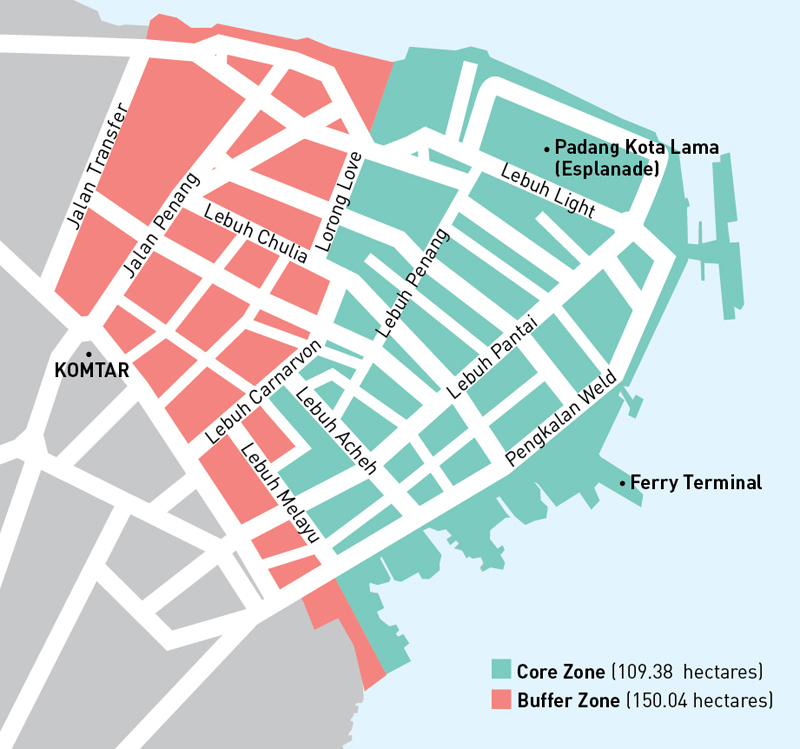 The Core Zone is protected by 150.04ha of Buffer Zone (not including sea buffer), bounded by a stretch of sea area around the harbour, Jalan Dr Lim Chwee Leong and Gat Jalan Prangin to the south-west corner and Jalan Transfer to the north-west corner.